The cork backing on the Fairgate Cork-Backed T-Square runs along its entire length, providing excellent, non-slip stability on any surface. 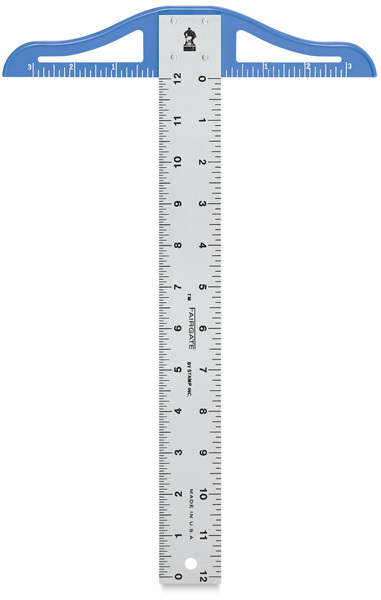 Crafted of durable aluminum, this T-square features a 1-1/2"W center blade that's calibrated along both edges in standard American units of measurement down to 1/16ths of an inch. 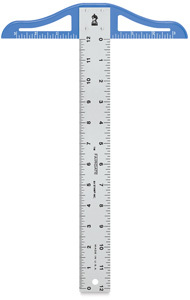 The 9" head is calibrated left and right from center down to 1/8ths of an inch. The Fairgate Cork-Backed T-Square is proudly made in the USA. ™ Fairgate is a trademark.